How do I get information about different FUUFHC events? The Sunday order of service (OOS)—paper bulletin for service and announcements. The FUUFHC website—hunterdonuu.org—news & calendar, services, learning, justice, connection tabs and sub-menus. E-News—weekly e-mailed updates from the website; you can subscribe at hunterdonuu.org/blog/subscribe-weekly-newsletter/. FUUFHC Community listserv—Subscribe by going to FUUFHC@yahoogroups.com or email listserv@hunterdonuu.org. 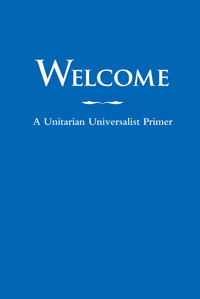 The First UU Fellowship of Hunterdon County—Just ‘like’ the page to see it; FB account required. Old Stone CoffeeHouse—Just ‘like’ the page to see it; FB account required. [FUUFHC] Nurturing Spiritual Journeys—email facebook@hunterdonuu.org. Set your Facebook subscription so that you receive notifications. Old Stone CoffeeHouse Instagram—Just ‘follow’ the page to see it; Instagram account required; instagram.com/oldstonecoffeehouse/. FUUFHC blast email—Congregation-wide e-mails, generally reserved for whole-congregation news or updates associated with leadership or the Board; case-by-case or general approval needed from Board/Minister before the request is submitted to the Administrator (admin@hunterdonuu.org). How do I share updates with fellow congregants about FUUFHC-related events or information? FUUFHC blast email: According to need, occasional community-wide e-mail for use by the Board and leadership. Order of service announcements: To have an announcement included in the Sunday OOS, go to hunterdonuu.org/blog/announcement-submission/ and complete the form by the end of Monday. Facebook notifications: Create ‘events’ on the [FUUFHC] Nurturing Spiritual Journeys page and invite other members of the page to participate. FUUFHC blast email—Send your blast email request to the Board/Minister for approval; once approved, send the Administrator the .pdf file or e-mail you want to be directed to the congregation. Website posting–Committee chairs are encouraged to explore the website and contribute information and photos (with permissions; editorial considerations to prevail) for use. For calendar changes or to request meeting space at FUUFHC, please contact the Administrator at admin@hunterdonuu.org well before the event in question. Some website ‘real estate’ is relatively static and not easily modified—because it has been researched to be more efficient as is, and because frequent edits are unfeasible. Contact Website Administrator to submit announcements at web@hunterdonuu.org. How do I get an announcement on the Sunday order of service (OOS)? To have an announcement included in the Sunday OOS, go to hunterdonuu.org/blog/announcement-submission/ and complete the form by the end of Monday. If I want to set up a social media site for a FUUFHC event or group, how do I get approval for that? Any use of the FUUFHC name or logo for branding or titling pages, blogs, or other similar elements of social media or publications must be approved in writing before Contact the Communication Committee at communications@hunterdonuu.org to make your request; approval is based on perceived need, existing communication channels, and will be reviewed by the Executive Board. How do I subscribe to the Nurturing Spiritual Journeys FUUFHC Facebook page? You must be invited to subscribe by another member or by the Moderator. To request a subscription, e-mail facebook@hunterdonuu.org. You must have a Facebook account to subscribe. If I want to use the FUUFHC logo for a fundraiser or on clothing or other items, how do I get approval for this idea and the design I choose? Go to the online form for logo use request at the hunterdonuu.org website– hunterdonuu.org/logo-request/. Click the link to the ‘Introduction’ (hunterdonuu.org/wp-content/uploads/2015/01/Introduction.pdf) and read the recommendations thoroughly; design approval will allow for a variety of possible uses, but be based on the original design and format of the logo; specifications for approved font, spacing around the font, how to use colored backgrounds and the specific colors of the logo will all be found in the introduction; links to various sized designs in color, black, and white in .pdf and .png files can be found on that page. Submit your logo use request and attach a mock-up of the final design you and your committee/group would like to use together with the form. You will receive a reply within five days of the request submission; subsequent modifications and design changes can be negotiated; in the instance of a dispute, the Board will have final review. How do I book Dodd Hall or the Old Stone Church for a FUUFHC event or meeting? Contact the Administrator (admin@hunterdonuu.org) to schedule Dodd Hall or the Old Stone Church. All scheduled meetings must be booked with the Administrator prior to announcement through communication channels. How do I get access to the FUUFHC CTRN online photo directory? If you have entered your username and CTRN-issued password already, all you have to do is click on ctrn.co/directory/index.php to take you to the directory. There is a mobile app available from CTRN too. Go to onlinechurchdirectory.com/knowledgebase/mobile-app-downloading-the-app-needs-image/ to download the app; you’ll need your username and CTRN-issued password for this too. Contact Membership (membership@hunterdonuu.org) for help or more information. Please make sure you notify Membership if you have made changes to your directory profile. Where can I find publicly-accessible information about upcoming FUUFHC services and events? Go to the FUUFHC website at hunterdonuu.org for all publicly-accessible services and events. Call The First UU Fellowship of Hunterdon County at 908-996-3964 for up-to-date information about emergency closings or delays. Check the public Facebook page at facebook.com/FUUFHC/ for information on services and events. Is there an up-to-date e-mail newsletter that I can subscribe to? Where can I find that? You can subscribe to our newly-created E-News at hunterdonuu.org/blog/subscribe-weekly-newsletter/. How can I see a month-to-month listing of events happening at FUUFHC? At the hunterdonuu.org website, under ‘News & Calendar’ at hunterdonuu.org/blog/events/ you will find the master calendar with notations for events and meetings happening at FUUFHC or offsite; to have an event entered into the master calendar, contact the Administrator (admin@hunterdonuu.org). Also under ‘News & Calendar’ at hunterdonuu.org, you will find ‘Congregation News’ where there is a listing of recent news in and about the Fellowship. And, of course on the home page at our website you can find information for the first time visitor, about next Sunday’s service topic, links to the past services archive, and within our slider—information about the monthly theme, podcasts, upcoming concerts, and a variety of current and ongoing topics of interest, including articles from the Board President, the Minister, the DRE, and the Music Committee or Director. What is the best way for me to share information with the rest of the FUUFHC community? For FUUFHC community-oriented topics that would be suited to a bulletin board, use the FUUFHC Community listserv at FUUFHC@yahoogroups.com; subscribers will receive individual e-mails with the information you post; a “Reply” to a Community email will go to the sender. A “Reply All” will reply back to everyone on the Community email list; please use a clear subject line so that other subscribers will know what your email is about; recent topics have included “outhouse keys?,” “Old Stone now on the National Register!,” “Last call for the lost and found!,” et cetera. For committee and official announcements needing widest possible internal reach, request a FUUFHC blast email by contacting the Board/Minister (president@hunterdonuu.org or minister@hunterdonuu.org). For public online announcements, scrubbed of all personal detail, contact the Facebook Moderator (facebook@hunterdonuu.org) to post a public announcement at the First Unitarian Universalist Fellowship of Hunterdon County Facebook page facebook.com/FUUFHC/. For public hard-copy announcements, scrubbed of all personal detail, use the online order of service announcement form available at hunterdonuu.org/blog/announcement-submission/ and complete the form by the end of Monday for it to go into that Sunday’s OOS. How can I sign up to help with the coffee fellowship in Dodd Hall after a service? The sign-up sheet is on the coffee sidebar. Help with coffee, snacks, set-up, and clean-up is always needed. E-mail hospitality@hunterdonuu.org for more information. How can I help with social justice at FUUFHC? The Social Justice Committee (SJC) works to achieve our congregation’s social justice mission by supporting members as they volunteer, educate, witness, and contribute to organizations and causes dedicated to creating a more equitable world. Email socialjustice@hunterdonuu.org for information. Click on the tab for ‘Justice’ (hunterdonuu.org/justice/) at the hunterdonuu.org website for more information about how you can get involved in social justice at FUUFHC. How do I enroll my children in nursery, Religious Exploration classes, Coming of Age, Our Whole Lives, or Youth Group? We provide children, youth, young adults, and adults an opportunity to explore, reflect, and learn in a nurturing spiritual community. Unitarian Universalist religious education programs offer all ages. Click on the ‘Learning’ tab (hunterdonuu.org/learning/) at hunterdonuu.org for complete information and links to application forms for all ages. How can I get involved with a committee or a covenant group at FUUFHC? Whether you’re searching for meaning, mending a broken heart, or simply needing some friends who share your values, we are here for you: connecting, caring, healing. Click on the ‘Connection’ tab. (hunterdonuu.org/connection/) at hunterdonuu.org for complete information and links to get involved in congregational life and community. How can I get involved with music or choir at FUUFHC? The Music Committee at music@hunterdonuu.org. The Old Stone CoffeeHouse at coffeehouse@hunterdonuu.org. How can I give feedback, constructive criticism, or alert leadership to possible problems at FUUFHC? Our elected leaders are always available to listen to your concerns. To contact the entire Board, e-mail board@hunterdonuu.org. To contact our Board President e-mail president@hunterdonuu.org. For information about how to contact our Minister and staff, go to hunterdonuu.org/about-us-2/our-minister-and-staff/. How can I find out what happens at an Executive Board meeting? Links to Executive Board minutes and Congregational Meeting minutes can be found under ‘About’ in the section for ‘Our Elected Leaders’ at hunterdonuu.org/about-us-2/our-elected-leaders/. Go to google.com/drive/folders/0B-xiPZ59p1WsajdUNGNQSHhyOGM for Executive Board minutes. Go to google.com/drive/folders/0B-xiPZ59p1WscUlDVmtIbURXVFE for Congregational Meeting minutes. How can I get involved with UU activities at the District, state, or national level? Links to a variety of UU organizations can be found at our website hunterdonuu.org under ‘UU Organizations’ (hunterdonuu.org/uu-organizations/) Click on these links to find out how you can get involved. And, how, if I’m not already, do I become a member? At the website hunterdonuu.org, under the menu heading ‘Connection,’ you will find a link for ‘Becoming A Member’ (hunterdonuu.org/connection/become-a-member/) where there is complete information the process of becoming a member at FUUFHC. For more information or if you have any questions about membership, e-mail membership@hunterdonuu.org.